While there are no hard and fast rules of what you should wear to the session, business casual attire would be appropriate. Registration Process: All delegates are required to register before the meeting. Registration will begin at La Sierra University church at 8 a.m. at the main entrance. It is important to be on time as there will be many others registering as well, and business cannot commence until everyone is signed in and quorum is met. Badges: Upon registration delegates will receive a name badge. It is required that you wear this badge throughout the session. Only delegates wearing a badge will be granted access to the main floor, be able to vote, and be allowed to address issues. Seating of Delegates: Delegates will be seated on the main floor. It is important that as a delegate you wear your name badge at all times, only then will you be granted access to the main floor. Guests: There is limited room for guests, however for those that come, there will be seating in the balcony. The church parking lot has a limited number of spaces. It is encouraged, whenever possible, that session attendees carpool. 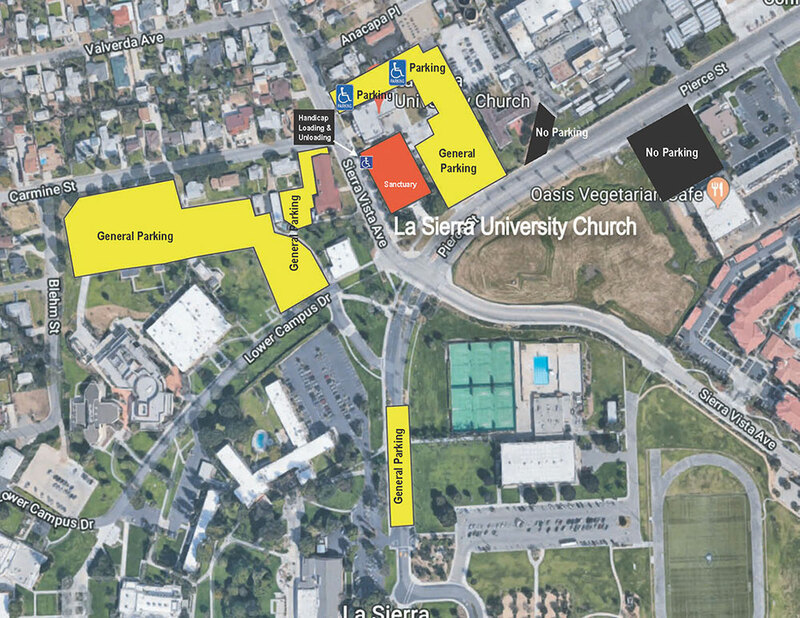 Once the church parking lot is filled La Sierra University security will reroute attendees to overflow parking. Here is a map that shows where you can park, CLICK HERE. Registration: 8 a.m. • Session Start Time: 9 a.m.
La Sierra University Church 4937 Sierra Vista Ave. Follow Pierce as it turns into Riverwalk Pkwy.